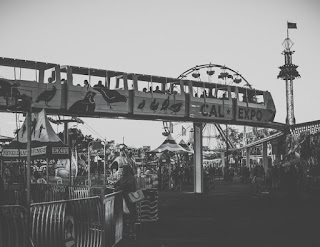 Disclosure: This post is sponsored by California Fair. I am receiving complimentary media pass in exchange for fair promotion. 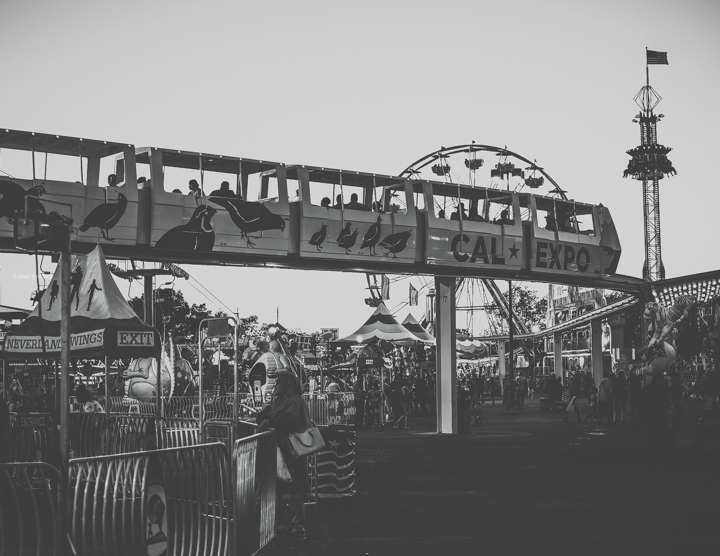 The California State Fair kicked off the season on July 14, 2017 and runs through July 30th, 2017. This year is the 50th anniversary of the CA State Fair being held at Cal Expo fair grounds in Sacramento. 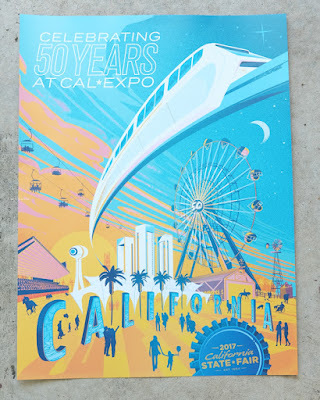 Did you know Walt Disney sent his Disney Imagineers to come help design Cal Expo? Being a huge Disney fan I find it fascinating we have some Disney Magic here in Sacramento. This year's cover poster (shown above) was designed by graphic artist Jason Malmberg. 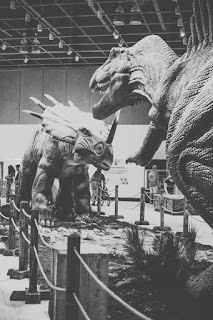 Once you break past the food & carnival rides are the exhibits in the buildings. New this year is the Dinosaur exhibit called Expedition Dinosaur. This is actually in two different buildings next to each other. 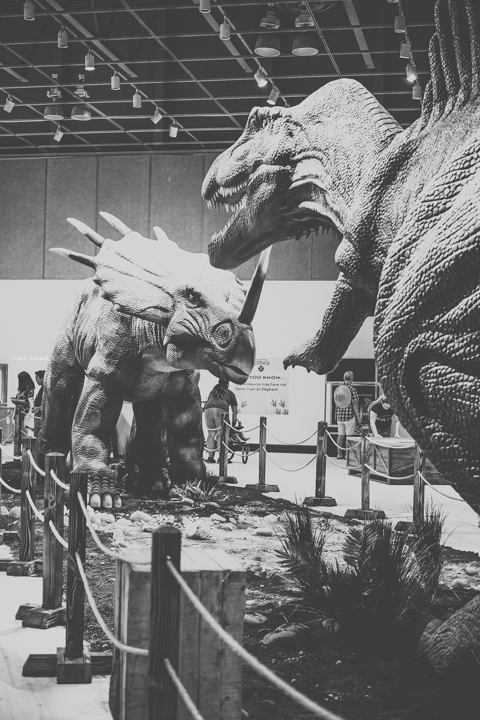 While none of us lived when the dinosaurs did, these exhibits make you feel like you stepped back into time to visit them. Most of them are very large and life like, moving their heads, tails and other body parts. 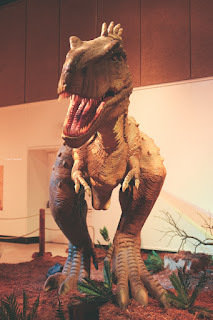 I loved this exhibit and felt a little scared how alive they were! It is fun for all ages. Don't forget to check out the other exhibits of student art, adult art, livestock and much more. 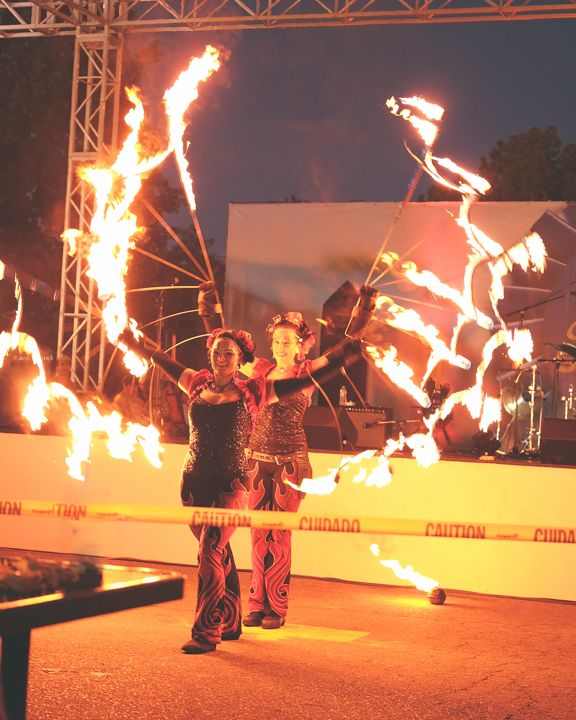 There is also a large variety of entertainment options at the fair you will want to check the daily schedule to make sure you don't miss out. 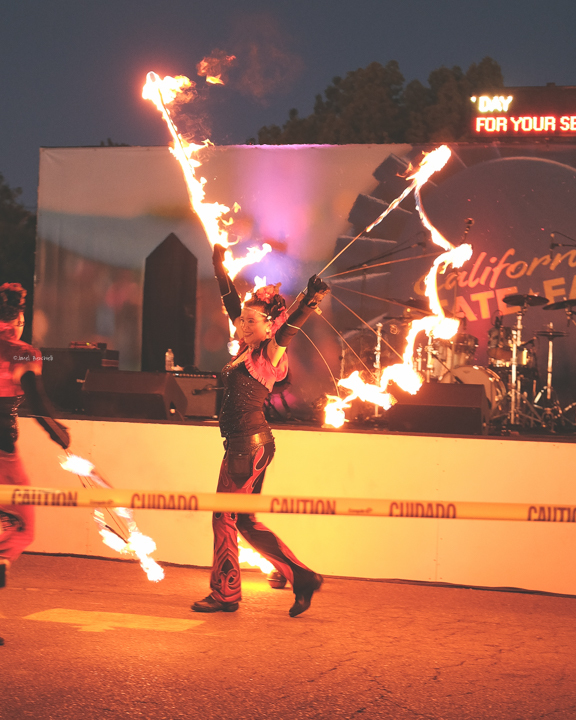 The evening I was there I watched flame dancers. 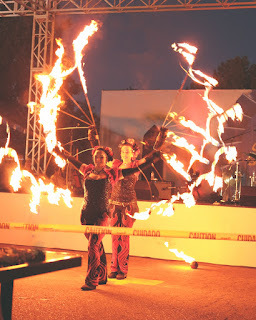 I can't imagine dancing and twirling fire so close to their body, but they danced gracefully and put on a great show. Also at the fair are concerts. These concerts are every night starting at 8pm. They are free with paid park admission but for as low as $15 you can get front row preferred seating. Some of the bands that are performing this year are Good Charolette, Smash Mouth, Trace Adkins and many others. And let's not forget about the food. 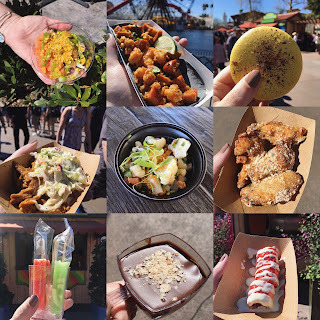 All kinds of delicious food from corn dogs, BBQ meats, haystack fries to scrumptious funnel cakes and deep fried Oreos. This year I did see a few heathy options like fresh fruit, smoothies and veggies. 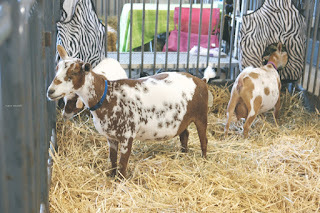 Who can resist the fair food temptation? 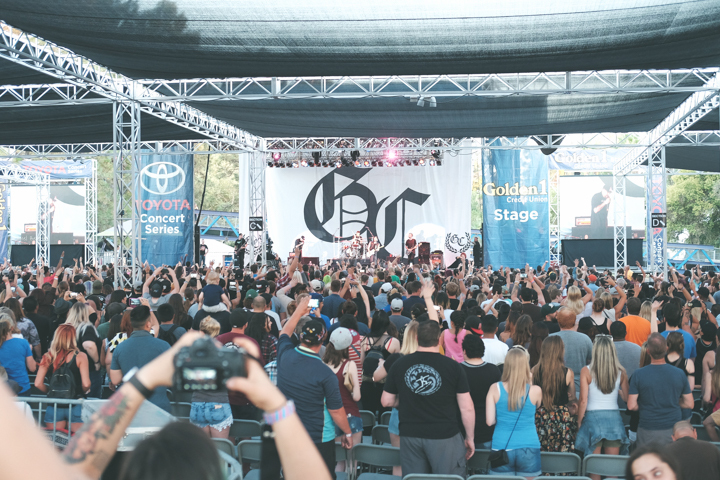 Whether you visit the California State Fair alone, on a date or with the family there is something for everyone to enjoy. Dont delay get your tickets today!